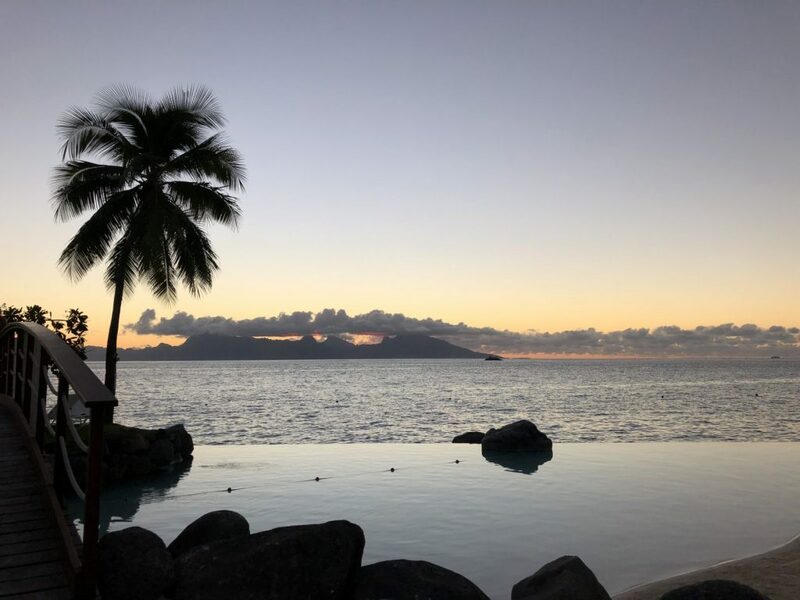 While Tahiti is the best known of the islands that make up French Polynesia, it’s usually only a starting point for luxury travelers who continue on the Moorea, Bora Bora, Tetiaroa, and other islands. 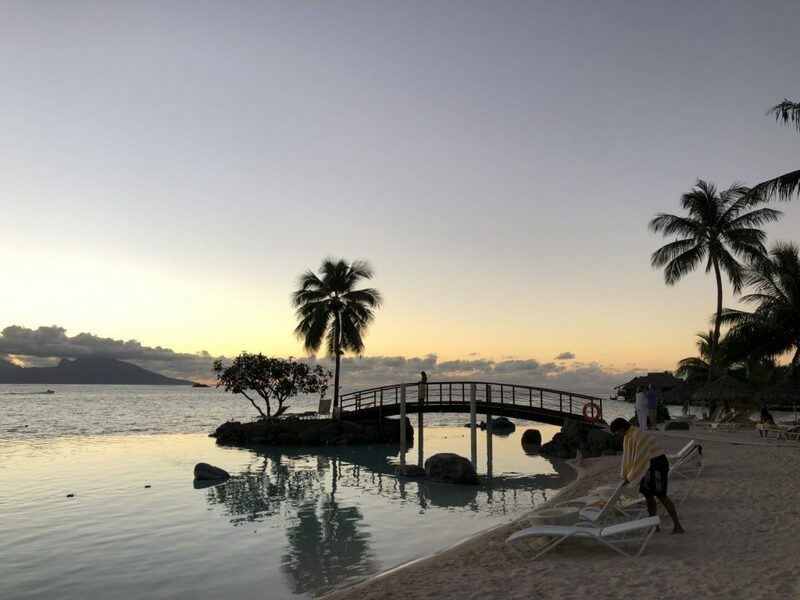 Most visitors only spend a night or two on the island of Tahiti, since it is where French Polynesia’s major International airport Faa’a (airport code PPT) is located. 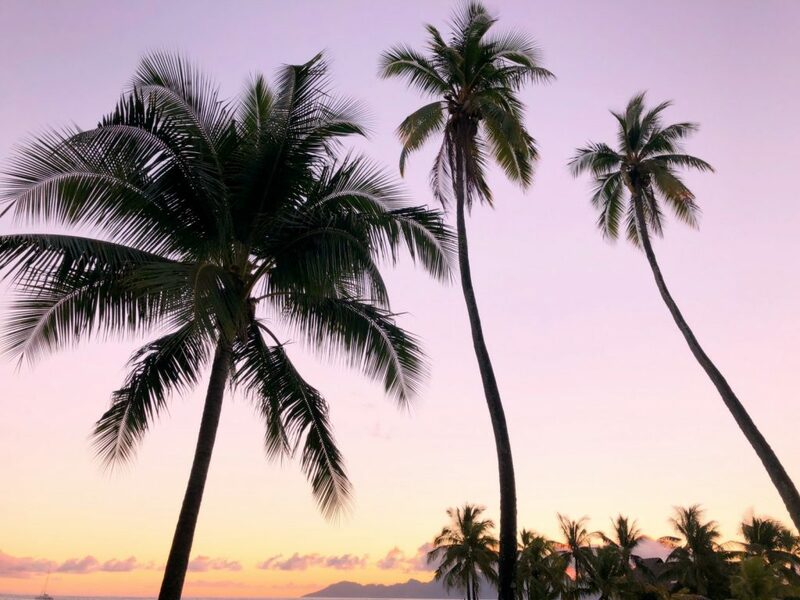 Most connecting flights to other islands including Bora Bora, Moorea, and Tetiaroa are limited to daylight hours. 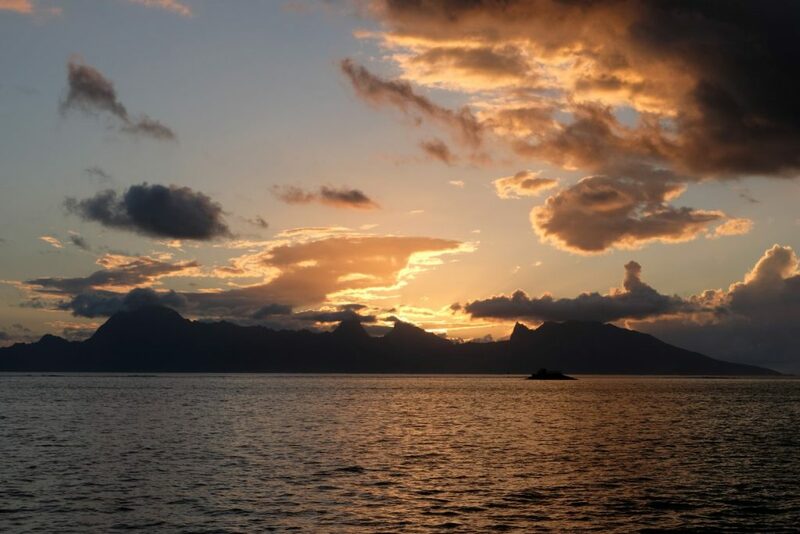 Moorea is also accessible by ferry. 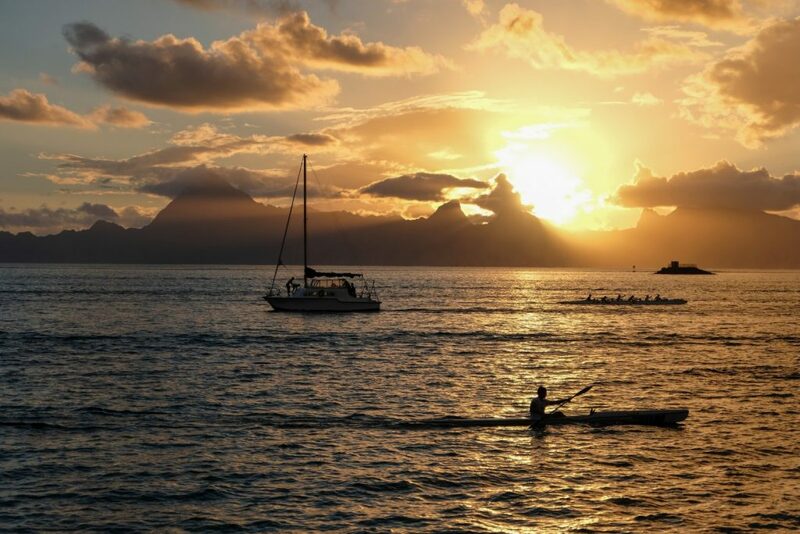 Cruises also usually depart from the island of Tahiti. 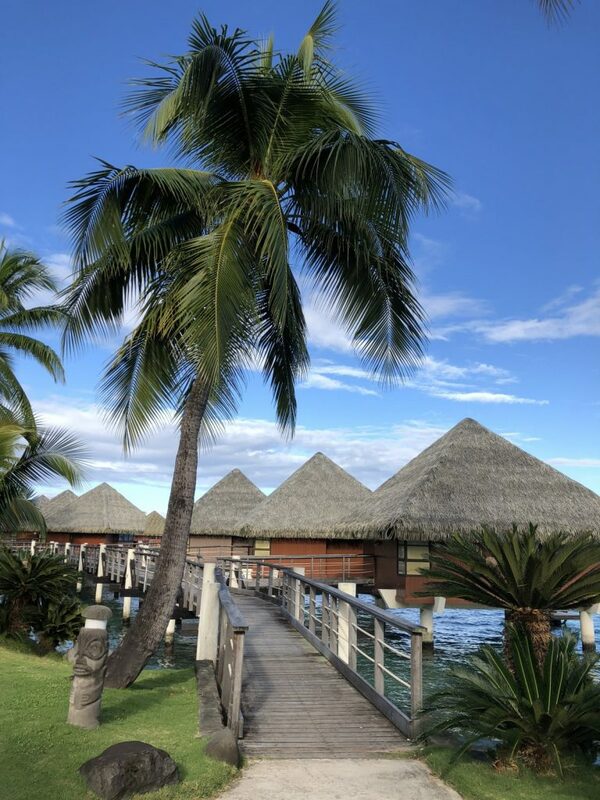 While it can be frustrating trying to optimize connecting flights, Tahiti is a very nice place to get over jet lag. 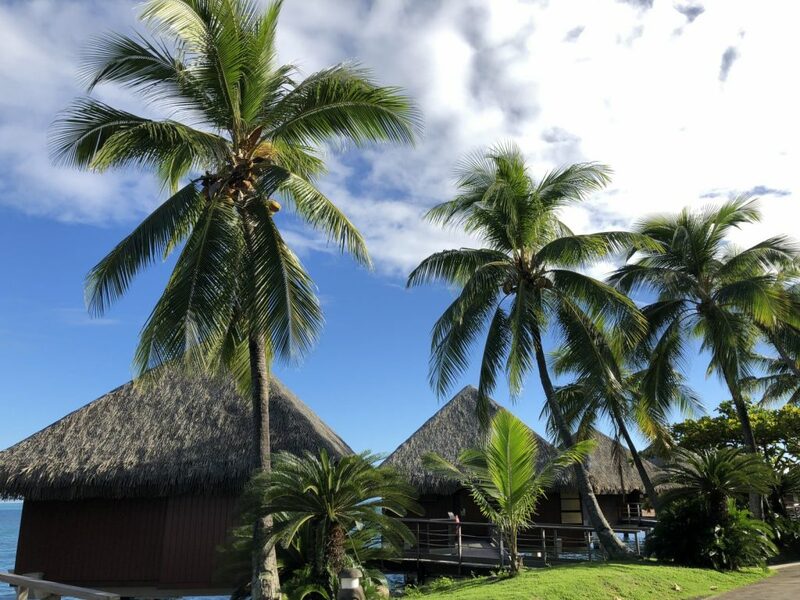 If you are planning a trip to Tahiti and want to stay in an overwater bungalow and are experiencing sticker shock, rates here are less expensive than at luxury resorts on Bora Bora and Moorea. 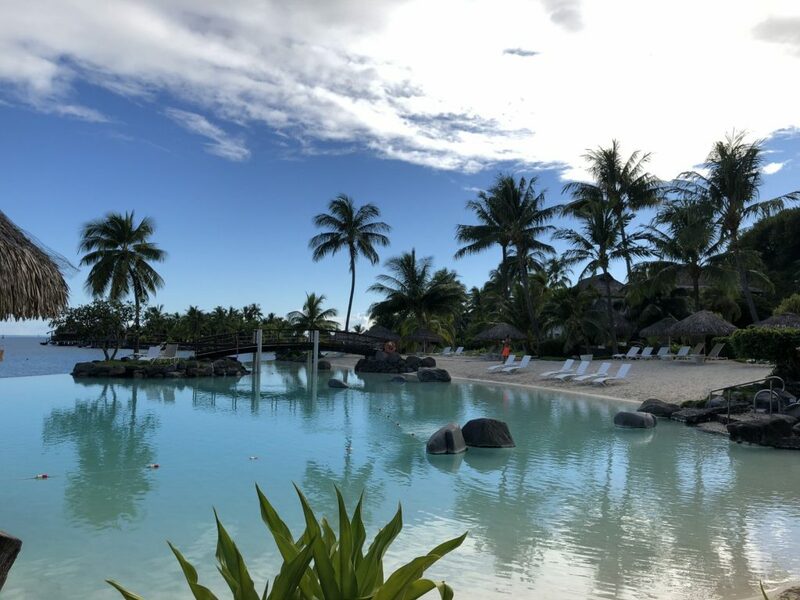 The InterContinental Resort Tahiti is geographically desirable since it is the closest luxury hotel property to the airport in nearby Papeete. I’ve stayed here a few times and always enjoy it. Be aware, it’s an older hotel and it feels its age. I don’t mind it, but it’s helpful to know what to expect. 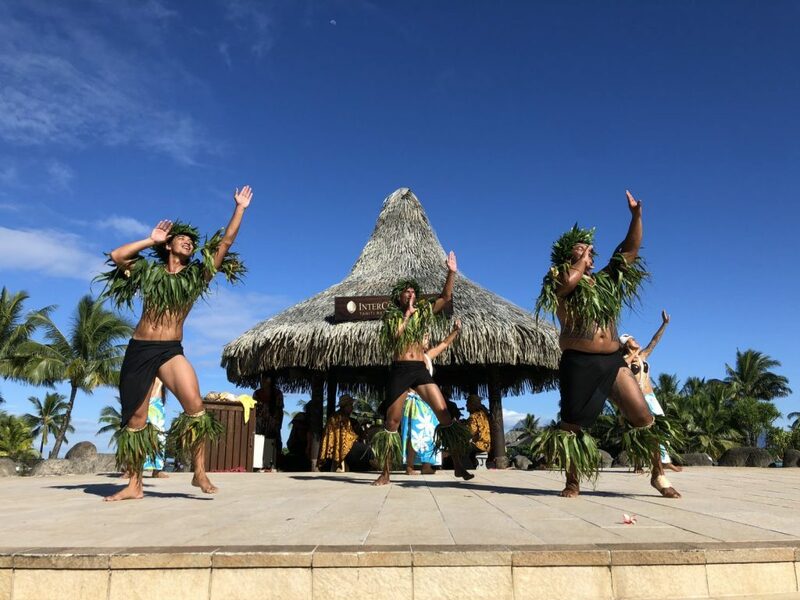 The resort has the necessary overwater bungalows that French Polynesia is known for, complete with a glass top table that provides a view into the clear blue lagoon waters below. 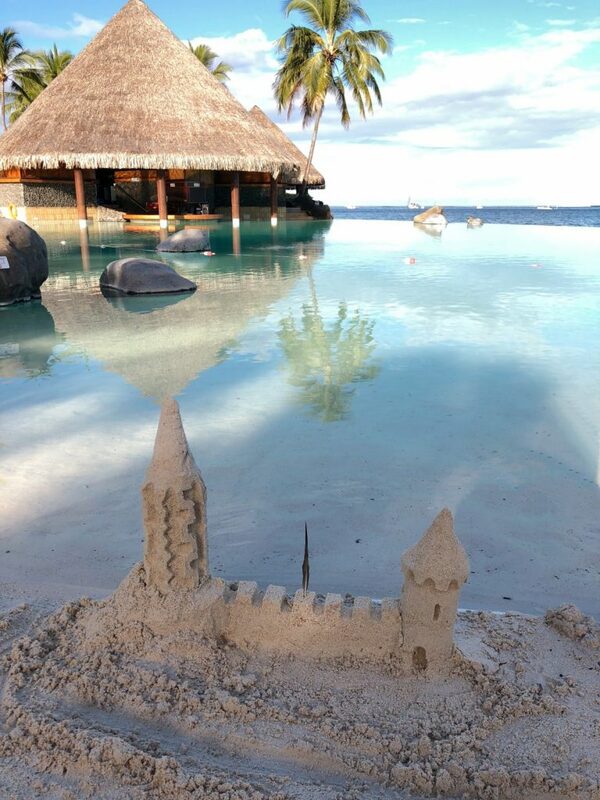 This is sometimes referred to as “Tahitian television.” At this property, the overwater bungalows are considered suites. The overwater bungalows are perched on stilts and not particularly spacious, but they are a unique sleeping experience if you can fall asleep to the sound of the waves. Each bungalow has it’s own patio and dock, so you can swim or snorkel directly from your room into the lagoon. My biggest issue with The InterContinental Resort Tahiti is that is that the front desk is understaffed at peak arrival times. 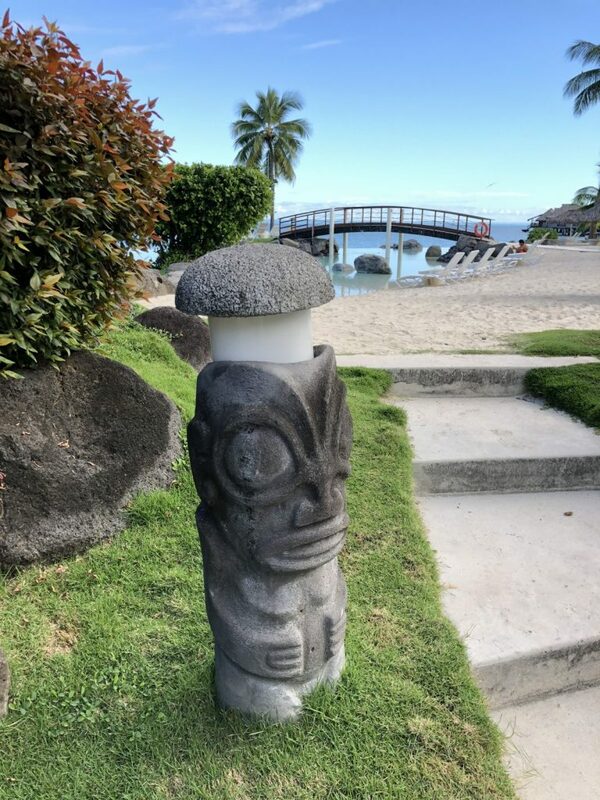 There are only a few long haul arrivals a day and the resort should be aware of this and have additional staff able to check you in after a long flight. Every time I’ve stayed at this property I’ve had to wait in line to check in. It’s never been outrageously long, but if you’re tired, it can be a bit frustrating. 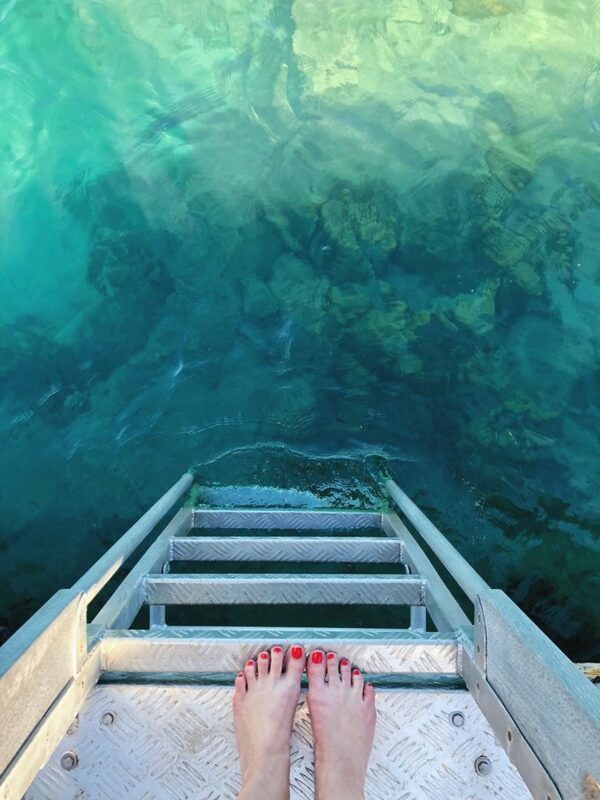 The direct access to the water is the best part of the overwater bungalow experience. The pools are family friendly. Fortunately the staff is very pleasant, so you get over it quickly. 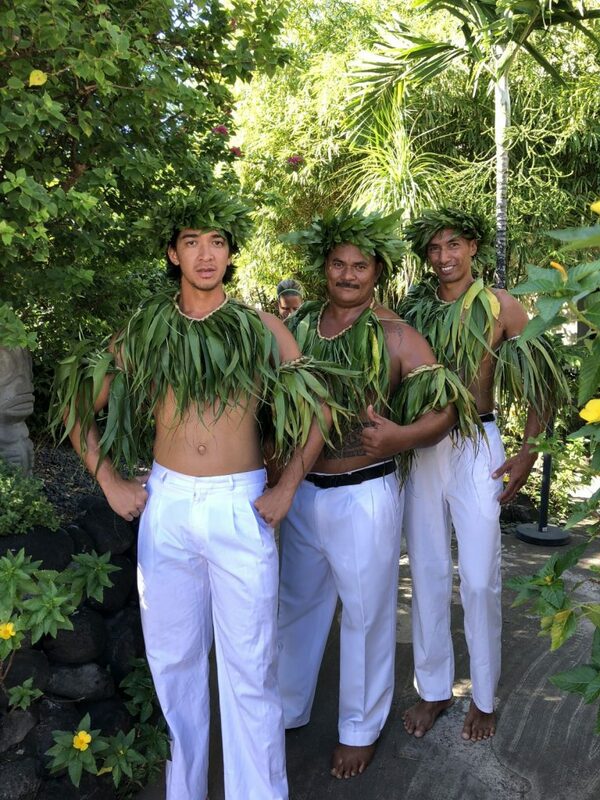 The bellman wear sarongs and are often heavily tattooed, which gives you a sense of the South Pacific aesthetic very quickly. I stayed in both a suite (overwater bungalow) as well as garden view room during my last stay. The hotel rooms are a bit dated, but I don’t mind at this property. As far as “airport hotels” go, it’s got more than enough perks. The resort is full service with a spa and excursions, but I’ve never used either since I’ve always been headed to another island when I’ve stayed here. 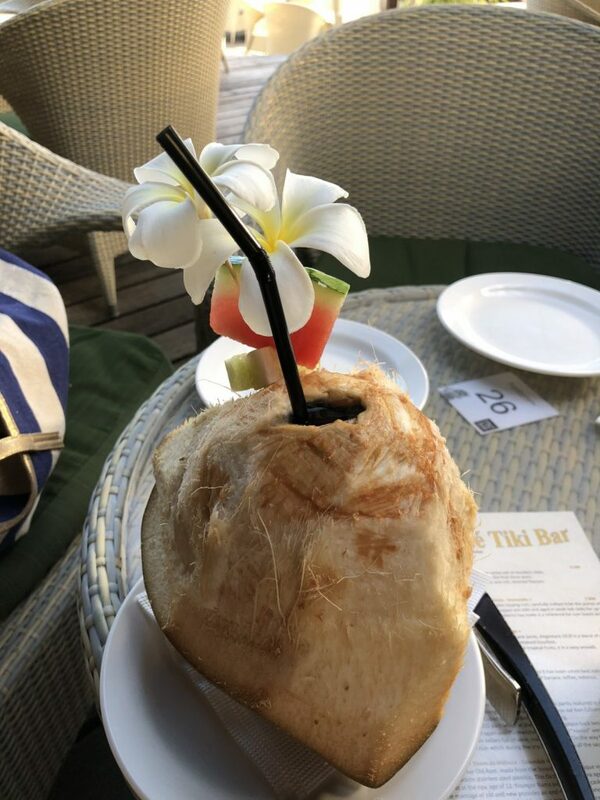 The Tiki Bar is a nice place for a tropical drink and a light lunch. There are also a few restaurants, Te Tiare which can handle groups and features an a la carte menu in addition to a buffet and Le Lotus, which has a fine dining concept. There is also a lobby bar and swim-up bar in one of the resort’s two pools. 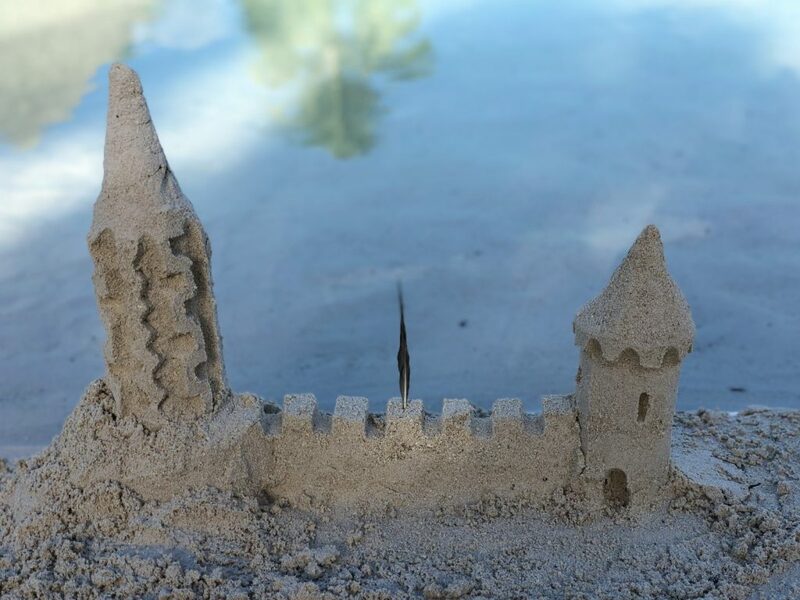 There are also rentals for snorkels and stand up paddle boards. 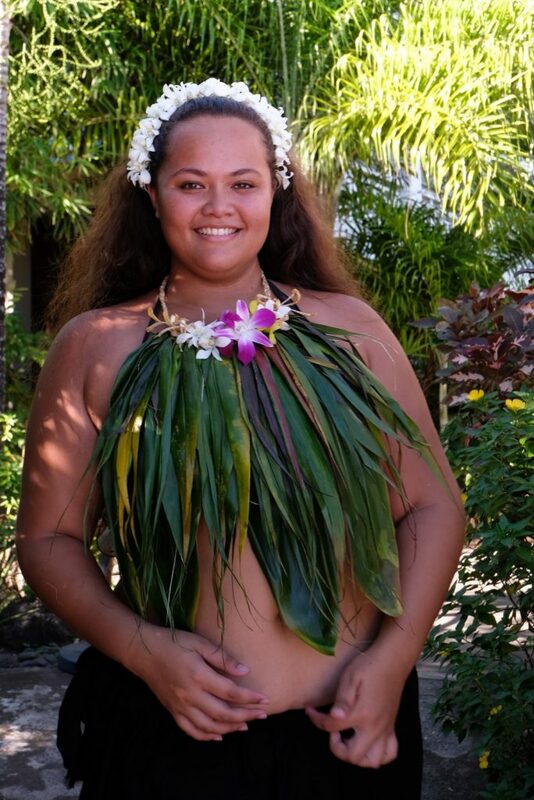 Te Tiare featured a Polynesian dance performance during brunch, which was nice touch. On Sunday, local vendors set up a market right on property for those who want to buy souvenirs from their South Pacific vacation. 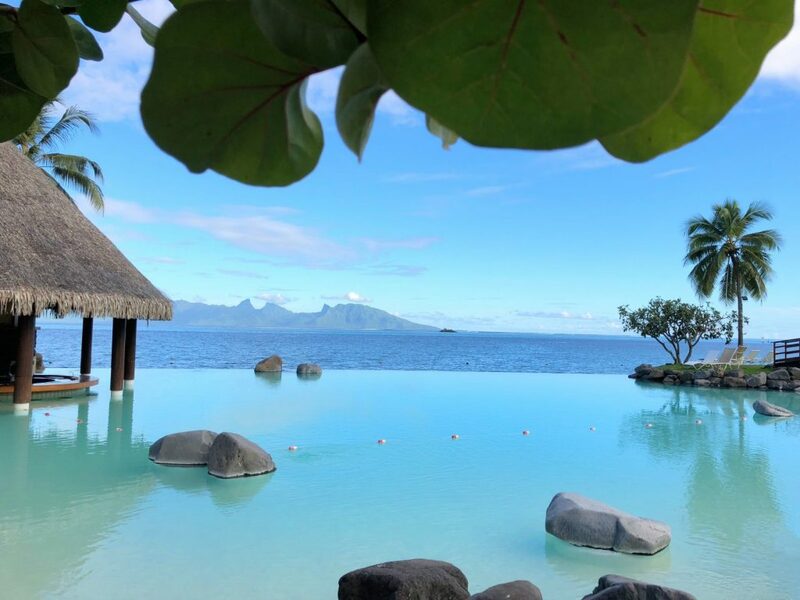 The InterContinental Resort Tahiti is popular with both tour groups and independent travelers. It’s prime location is convenient to the major international airport. It’s better suited for a transit hotel than as a solo destination resort, but I’m always happy to spend a few days here. I got to Tahiti by flying Air Tahiti Nui direct from Los Angeles.